I am by no means a professional chef. But, part of my job as a Registered Dietitian is providing people with nutritious solutions for cooking at home, so I spend a lot of my time in the kitchen trying out recipes. Parents ask me all the time for ways they can get more veggies onto those plates and into those bellies. I like to offer easy solutions that don’t add extra time and mess. 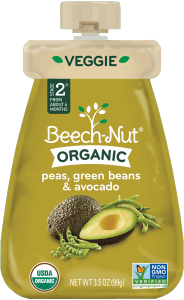 Beech-Nut organic pouches are tasty and nutritious, and eliminate the need for steaming and pureeing veggies from scratch. So, I experimented with ways to use them as really quick add-ins, or nutrition boosters, to meals. I, along with my taste testers at home, were very happy with the results! 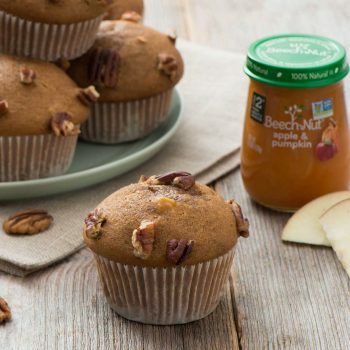 I know what you are thinking–cooking with baby food? 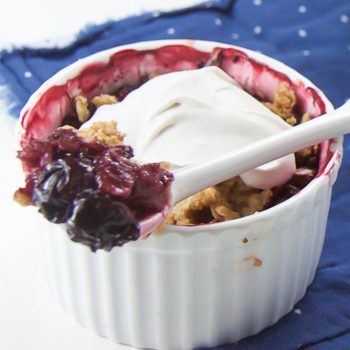 But, trust me, you would never guess there was baby food in these recipes. The first blend I used was Beech-Nut peas, green beans & avocado. What I love about this pouch is that it is pure veggies, and no fruit, so it will help prevent those tiny palates from getting hooked on only sweet blends and tastes. And, even aside from the flavor, it’s packed with nutrition–the healthy fats from the avocado, protein from the peas and fiber from the green beans. Blending in veggies helps ensure more nutritious meals, and is a good strategy for kids who are difficult to please when it comes to fresh, whole vegetables. But, I always recommend serving whole veggies alongside these veggie-blended dishes at as many meals as possible, to increase the whole family’s acceptance of them. Both of these recipes are intended for the entire family to enjoy. The pouches used are stage 2, which is generally recommended for babies around 6 months. The green egg frittata muffins and the very veggie burgers are both very moist and make for great toddler table foods, but they can also be finely chopped and offered to your baby once she has begun soft, chopped foods, typically around 9-10 months. But, of course, every baby is a little different, so trust your instincts or consult with your pediatrician before trying a new stage of food. These egg muffins last in refrigerator for 2 days. If made ahead of time, they make for a great, high-protein grab-and-go breakfast. But, eggs don’t have to just be for breakfast! These mini frittatas are perfect for dinner served with a side of baked potatoes. Pre-heat oven to 350 degrees. Lightly grease muffin tin with oil. In a large bowl, add organic purée, eggs, milk, salt and pepper. Whisk well until air bubbles form. Pour egg mixture into a spouted liquid measuring cup for easy, spill-free pouring. Pour mixture into the muffin tin, leaving 1/2 inch from the top to allow room for muffins to rise. Sprinkle cheese on top of each egg muffin. Bake for 25 minutes, or until the tops appear dry and golden brown. Remove from tin and allow to cool. Note: muffins will generously rise while baking, and will shrink down once removed from heat. The vegetable purée adds moisture to the mix for a juicy, tasty burger! In a large bowl, add organic purée, turkey, mustard, salt and spices. Mix until well combined. Form turkey mixture into round patties and place on a parchment paper lined plate for easy clean up. Lightly grease grill pan (or sauté pan) and heat on medium-high heat. Once pan is hot and oil is sizzling, add patties, cooking 3-4 minutes on each side, or until cooked all the way through.